The folks over at 1up.com posted a feature about Electronic Gaming Monthly's best and worst covers earlier today. Unsurprisingly, the following Fabio-centric cover was deemed one of the magazine's lesser efforts. 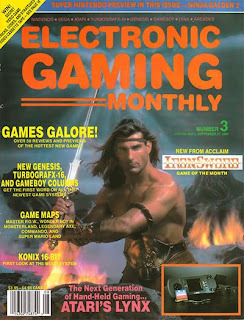 Thankfully, EGM's third issue wasn't a complete wash. After all, it included articles about two intriguing-but-ill-fated systems: The Atari Lynx and the Konix Multisystem. 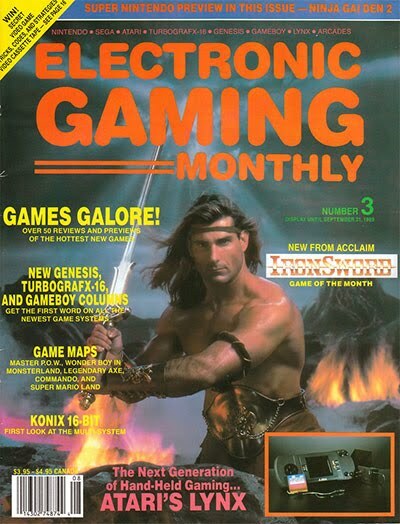 Read: "The Best/Worst EGM Magazine Covers"
Eek. Fabio and video games...not a good mix. Yeah, it's quite an incongruous mix, isn't it?